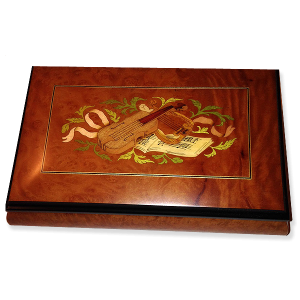 This music box is made of burl walnut and has an instrument inlay motif with rosewood. 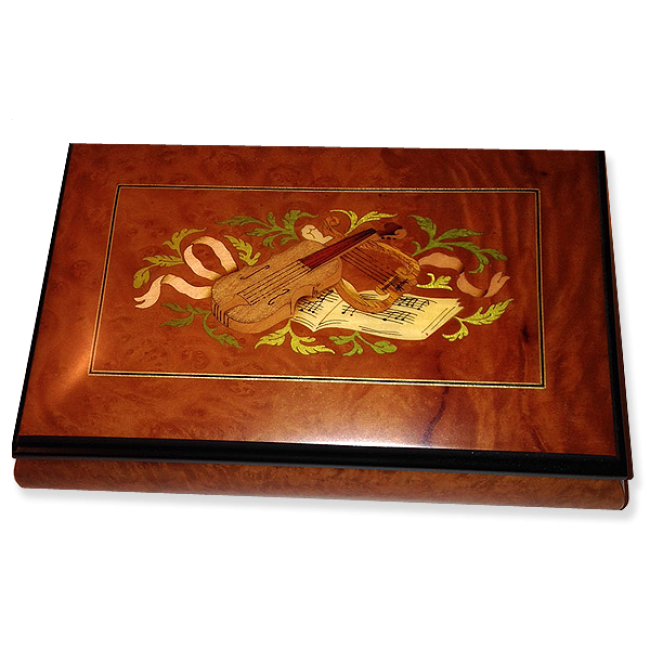 Lined with plush brown velvet, this box has a compartment for jewelry. Matte finish. 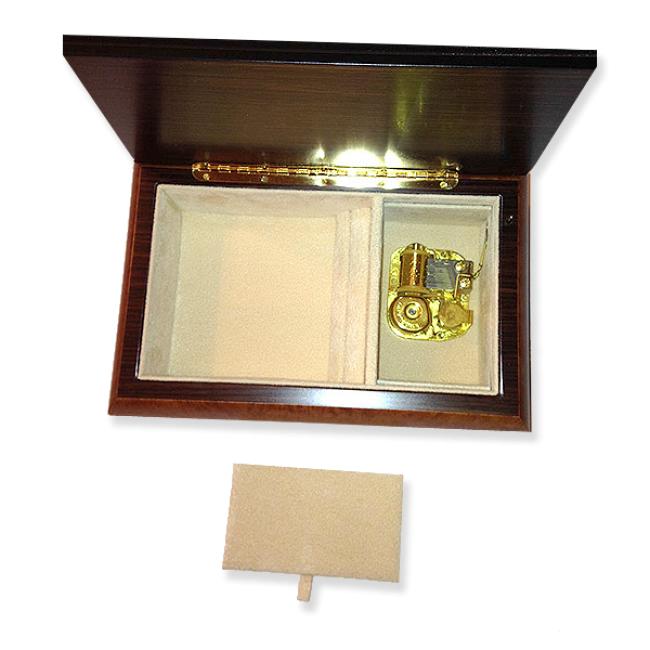 Size: 8" x 5" x 2 1/2"